18. What is your state of legal residence? 19. Did you become a legal resident of this state before January 1, 2014? 20. If the answer to question 19 is "No," give month and year you became a legal resident of that state. The questions in this section ask about what/where you consider to be your permanent home/mailing address. 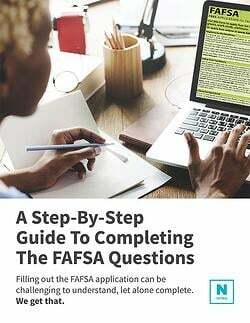 This question appears on the FAFSA form so that the Department of Education has a residence on file for you for all relevant correspondence while you are in school and for State agencies to determine your potential eligibility for a State grant, if applicable. Even if you reside on campus during the time you are enrolled, you will still need to list your permanent, legal address. This could be your parent or guardian’s home, or a permanent residence where you typically receive your mail.